As we close out 2017, it’s time to talk about what’s ahead for the new year. With 52 new weekly episodes, we have a lot of great content planned for you. And it’s not only the podcasts. 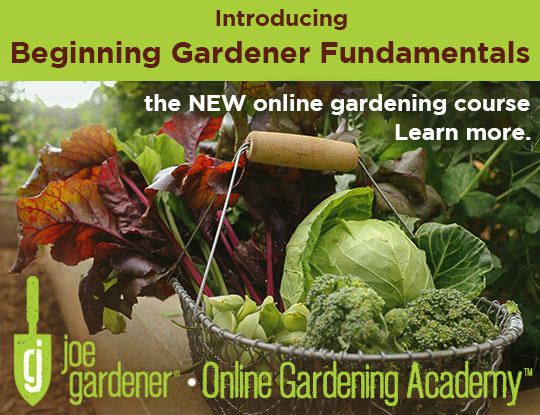 Some other enhancements are in the works as we plan for the best user experience yet for joe gardener and joegardener.com. I for one am a big fan of audio. It’s one of my favorite ways to learn. But as we know, there is more than one way to consume information. So in 2018, in addition to our weekly podcast, we will also piggyback on the upcoming episodes with companion videos and even an online class or two. Allow me to share with you a few of the highlights of our podcast editorial calendar of topics in the coming year. Seed Starting: To get a jump on the season, we’re doing a seed starting episode. But this is more than just a 101 conversation. We’ve been asked by several listeners to offer a deeper dive into the nuances. So while we’ll certainly cover the basics, we plan on filling this with extra information well beyond the basics too. Starting seeds gives you the opportunity to choose what you want to grow, to experiment with more unusual plants and to garden ahead of the season. So, if you are looking to get your hands dirty in early February, be on the lookout for this episode. Critter Control/Deer Control: Deer control seems to plague more people than it doesn’t. I am a personal testament to that. This year, I am finally going to bite the bullet and put up a fence. But nothing detracts from an attractive landscape than a tall fence. In this episode, we’ll talk about tricks and things you can do to hide or minimize the impact of a fence and the way it looks, plus what are the most important considerations as you plan your strategy as well. When it comes to critters invading your garden, it’s not just deer that become nuisance pests. We’ll also talk about control tactics for some of these other pests too. Gardening Myths: With so much to learn about gardening, we certainly don’t need to be wasting time and energy on false claims. In this episode, I’m talking with author Dr. Linda Chalker-Scott. She is well-known for separating fact from fiction, including two books on the subject. We’ll bust through some of the most common myths and explore why they don’t often work as claimed. Landscape Design Principles and Fundamentals: Whether you’re starting a new landscape or renovating an existing one, we’ll talk about design principles and fundamentals every gardener needs to know. Even if you just want to change or tweak your landscape in some way, little-known tricks can make a big difference. 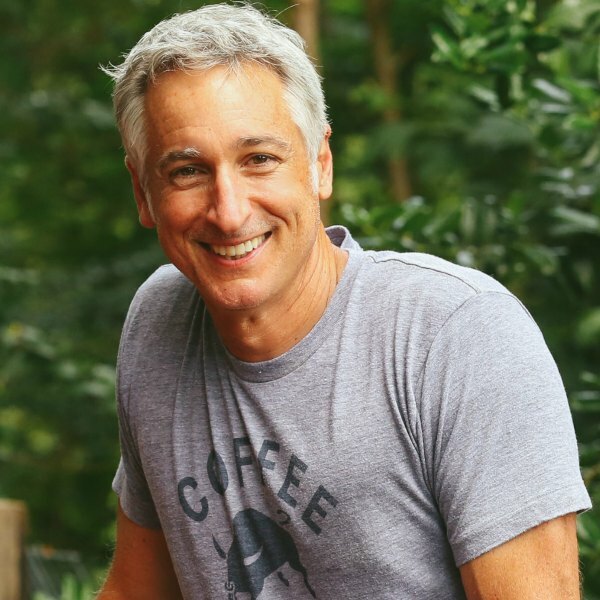 I’m teaming up with some of the top garden designers to talk about the five most important principles when designing or updating any garden or landscape. 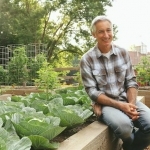 Raised Bed Gardening: Whether you’re a new gardener dreaming of your first raised bed garden or expanding on the number you already have, we’ll address everything you need to consider. Raised bed gardens have been a huge part of my gardening life for years. Here at the Garden Farm, there are 16 very large raised beds. Plus, the television show I hosted for three years on DIY Network (“Fresh from the Garden”), focused entirely on gardening in 14 raised beds. With no margin for error or mistakes, the pressure was on to make them productive and picture perfect all the time. 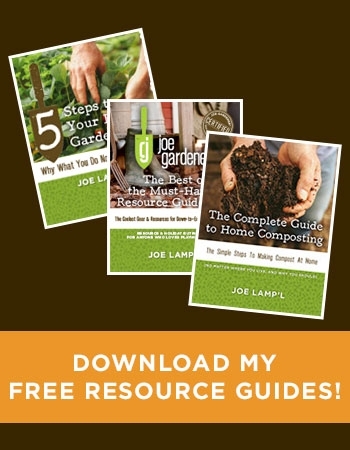 I’m serving up my best tips and will teach you the tricks you need to know to make your raised bed gardening bountiful and beautiful, along with the pros and cons of raised bed gardening. Small Space / Container Gardening: Even if you have a large space where you want to create more intimate settings or garden rooms, this episode will address what to do in any small space garden. Or, maybe you want to narrow the focus and direct the eye to a particular view of the garden or plants. 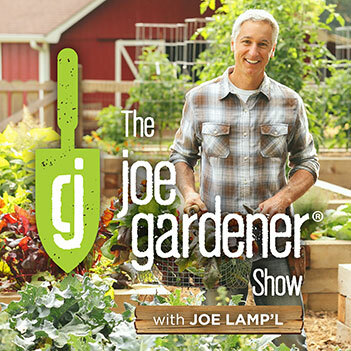 And of course, we’ll serve up plenty of savvy advice on creating the best container gardens also. Totally Tomatoes: Our episodes about tomatoes in 2017 were some of our most popular. So, this year we’re back as we address a full season of tomato growing from seed to harvest. 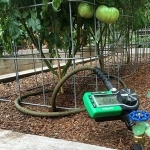 We’ll have the tomato growing expert Craig LeHoullier back as we build on previous discussions and dive deeper into some of the many challenges with pests and diseases and how to grow through them to a productive harvest. 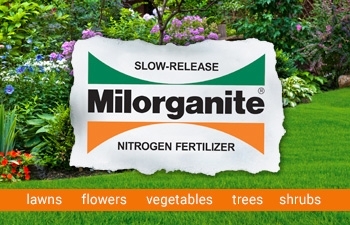 Organic Lawn Care: One area we have yet to cover is organic lawn care. Perhaps because not everybody is a fan of lawns. 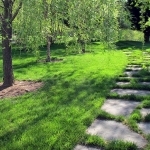 To me, lawns are a pathway through the landscape, a place to rest your eyes. I love the contrast between green and mulched beds with plants. The downside of lawns is the maintenance, including the perceived need for lots of water and chemicals for lawns to thrive. Yet I haven’t used a synthetic chemical on my lawn in many years. And it still looks amazing because I focus on the things I need to do to promote health and vigor naturally. 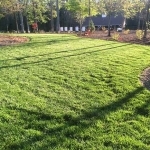 I’ll share with you the same tips and routines I use to create and maintain a thriving organic lawn while cutting out chemicals and watering less. Vacation Planning: As we get into summer, one of the things gardeners need to contend with is getting their gardens ready if they go on vacation. So, what to do with all the plants you leave behind? 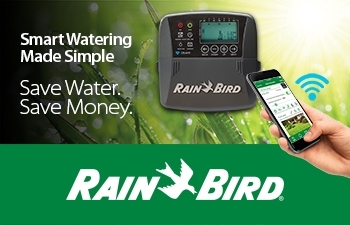 Listen to this episode as you learn how to easily automate many of those tasks to keep your plants and lawn happy while taking the worry away as you relax and enjoy that well-deserved vacation. Harvesting the Bounty: If you listen to my podcasts, you are already learning to grow like a pro and getting better at it every week. But knowing how and when to pick all those different vegetables can be perplexing. Sometimes we pick too soon, while other times we wait too long. Even a slight delay in harvesting can expose that almost perfect fruit or vegetable to a disappointing outcome. I will talk about tricks for when to pick and harvest the most common food crops at the optimum time. 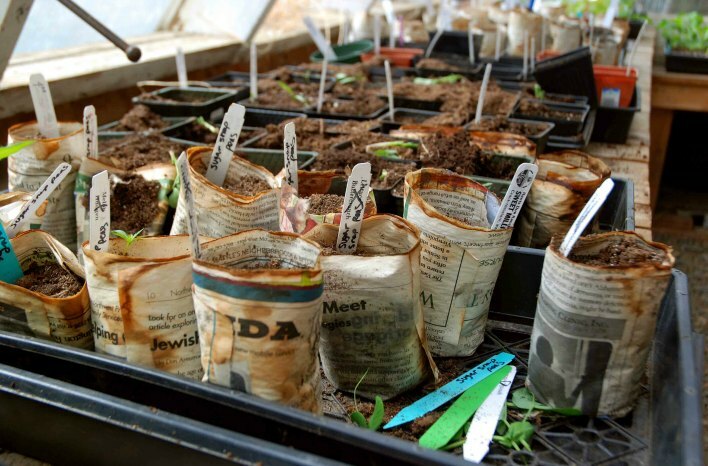 Saving Seeds: Saving seeds from your favorite plants to share or grow again next season is one of the greatest joys of gardening. Yet, knowing how to save those seeds can be half the battle or more. But it doesn’t have to be. 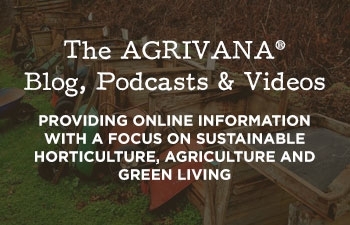 It’s time to take your seed-saving skills to a new level, and you will after listening to this podcast episode. We’ll break down what you need to know to simplify the process while saving all your favorite seeds with confidence. A Day in the Life at the GardenFarm (Pt.2): Back by popular demand, it’s another audio journal from the GardenFarm this coming spring. A few months ago I brought you out with me (episode 19) on the first day of fall for a whole day with me on the GardenFarm. From the first rooster crow, all the way through to a serenade of crickets under the stars and a glass of wine to finish out the day, you were there for it all. On a related note, I will also create more podcast episodes that are recorded outside the studio. 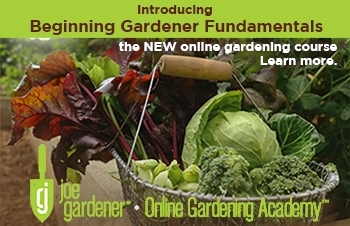 Plans are to include gardeners and people we feature on episodes of Growing a Greener World. For all the places we visit on the road, it will be a great complement to do more of these while on location of the person or place we are featuring. I’m particularly excited about these, and we are fortunate to have the television episodes as companions for the podcasts. But (and this is important), I also want you to share with us what you want to hear. So, consider this my personal ask and request. 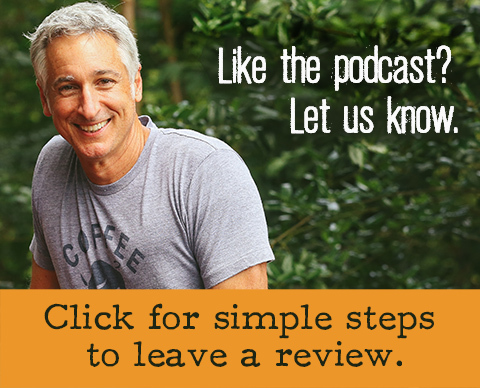 You can reach us by leaving a comment at the bottom of the show notes in the comments section, by email to heyjoe@joegardener.com. Or call us and leave a voice message to 470-242-1982. Planning ahead is really important. I’m always thinking of multiple ways to get information to you. Here are a few ideas I’m planning on implementing starting very soon. A Monthly Must-Have Tool: Consider this to be that one garden-related resource we’re particularly excited about at the moment. When able, we’ll time our must-have suggestions to be as timely as possible relative to the season. An Online Store: This has been in process for some time, and we are happy to announce by late winter it will be up and running. Your favorite t-shirts, hats and more. 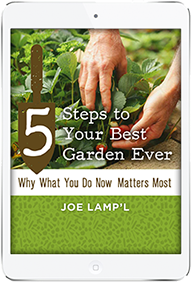 A Book of the Month: Considering all the books I’ve read related to gardening, and the many on my list, I want to include a suggested book of the month from my favorite reads. And please let me know about your favorites too. Send me an email or leave a comment on the website. I’d love to include them on our list too. 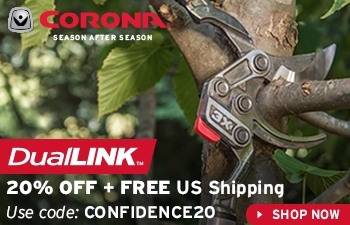 More Video: As a way to provide the best visual support to the podcasts, these will be timed to go with the current gardening season. Many of the podcast topics we cover lend themselves very well to a companion video. When they do, chances are we’ll be adding and linking to it from the podcast episode. Call to leave a voice message or question: 470-242-1982.